The matter relates to a slum named Kavthekhadi at Yari road, Mumbai, demolished on March 22, 2016. The youngest member among those evicted was a five-days-old girl child. Evicted residents of the slum approached the Ghar Bachao Ghar Banao Andolan (GBGBA) for help. “The GBGBA, with the help of Advocate Mathew J Nedumpara, took the matter to the Court. A writ petition was filed in the name of the five-days-old girl child through her mother. The child had become 13-days old at the time of filing of the petition”, NAPM says. 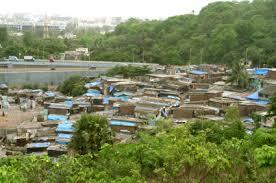 “As per this, at least 125 night shelters are required in Mumbai in accordance with 2011 census”, it added. “As far as the central housing scheme the Pradhan Mantri Awas Yojana is concerned, it comes under ‘Housing For All by 2022’, but there has been no progress in implement it”, the NAPM said. Pointing out that slum settlements have “no water facility giving way to mafias to regulate water supply”, NAPM, whose statement has been prepared by well-known social activist Medha Patkar, said. “The Municipal Corporation of Greater Mumbai (MCGM) is not complying with the order of the Bombay High Court which directed the corporation to provide water to all the colonies whether authorized or unauthorized. Similarly, there is either no provision or least provision of toilets in these settlements”, it added.